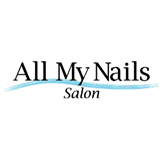 Located in the heart of Uptown Waterloo, All My Nails Salon has been providing exclusive nail care treatments in a relaxed and rejuvenating setting since 1999. All My Nails Salon is committed to your safety and ours. We take pride in our stringent sanitization practices for the health of our employees and valued clients. We are committed to ensuring your safety and comfort so you can sit back, relax, and enjoy our services. We strive to continually upgrade and improve our services to elevate beyond the basic salon. We have recently expanded and are pleased to offer even more exciting services. In addition to classic Shellac or Gel Polish Manicures and Pedicures, we now offer Acrylic, Solar, U.V. Gel or Bio Seaweed Gel Nails. Foot treatments are also available! Come in for a pedicure to revive and condition your feet while you relax in one of our new state-of-the-art, eco-friendly massage chairs. Are you the owner of All My Nails Salon?